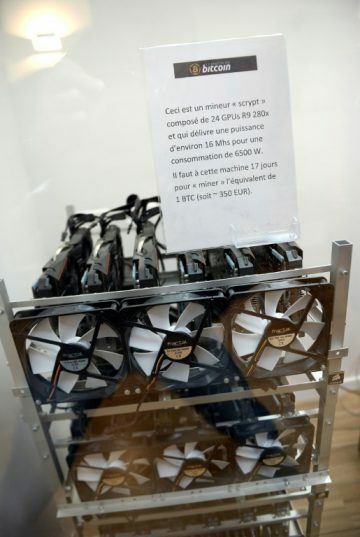 Cryptocurrency miners uses energy-intensive machines such as this seen at La Maison du Bitcoin in Paris but as the process becomes ever more complex ever more powerful and power-hungry computers are needed. 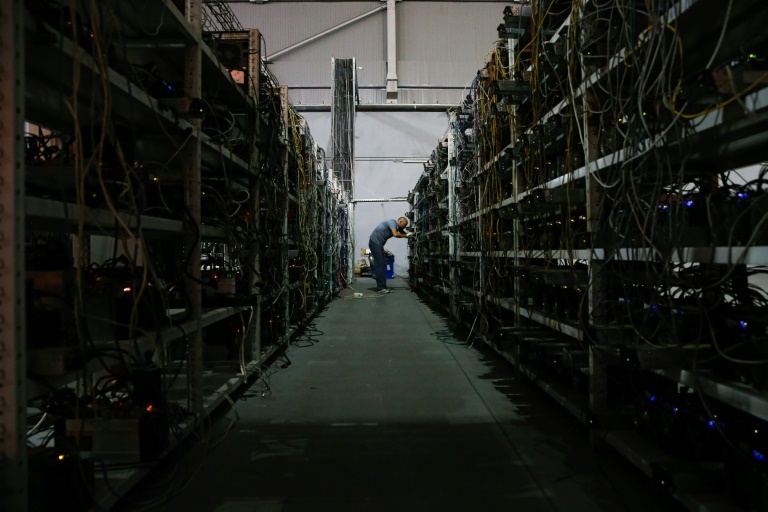 Cryptocurrency mining farms like this one in Russia use lots of electricity, and their environmental impact depends on how that electricity is generated. The push for scale “would concentrate number-crunching power in the hands of the richest or throw into question bitcoin’s (decentralised) philosophy,” said Teunis Brosens, a senior economist with ING bank. He forecasts that eventually “banks will create private blockchains which will not face the problems of scale or regulation” which bitcoin is coming up against.